Tent camping is a very different experience than motor-home or trailer camping. This more primitive camping choice can be made even more enjoyable by incorporating a few important camping tips. 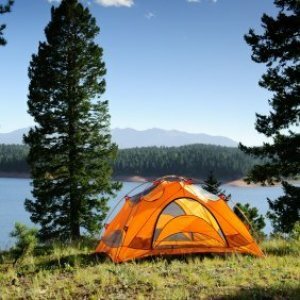 This is a guide about tent camping tips. 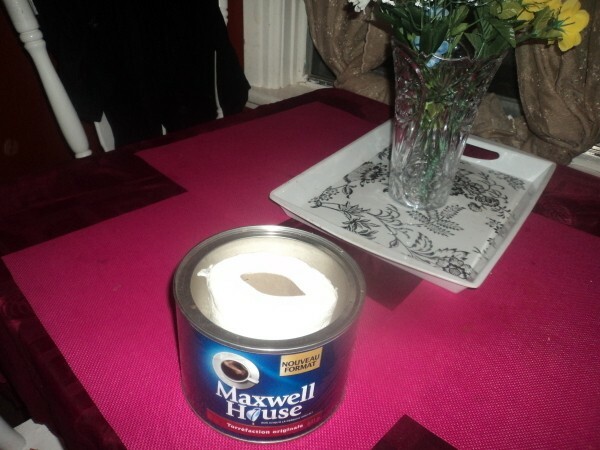 If your planning a camping trip, use an empty, clean coffee container to store your toilet paper in. Be sure it has a lid, that way if it rains it won't get wet. Organize your gear. We've all done it at one point or another. We've arrived at the first campsite, gone to set up camp and some vital piece of equipment has gone AWOL. What can we do to prevent this? Organize! This may mean dedicating an entire closet/shed to the storage and organization of camping/outdoor gear. When you've found a place to put all your stuff, begin by finding places for certain things to go. For example, put your mummy bags and sleeping pads somewhere flat (perhaps on top of the highest shelf, with nothing on top of them so that they can fluff). You can hang your packs on hooks on the wall, and stoves and fuel can be stored on the shelves along with the food and other miscellaneous items that make up your equipment list. Now all you have to do is take inventory. Learn from past camping/backpacking trips what types of gear/what items you've taken on each type of trip, and make separate gear checklists for car-camping/backpacking. Keep these lists on your computer for later printouts and hang them on the back of the door to your closet/shed for quick reference. If you're going car-camping, bring another shelter other than your tent, such as a lightweight screenhouse or even just a tarp with a length of mosquito netting to stretch around the sides. It'll make evenings and mornings much more pleasant by keeping the bugs at bay. If you have the choice, camp on the top of a small hill. In some areas, this is the only way to camp due to the hosts of mosquitoes that flock to any bared human skin. The breeze in such a place will keep the bugs to a minimum. But be wary of thunderstorms; lightning is a dangerous part of creation and if you're on a flat area or on a mountaintop or ridgeline, try to camp on the side of the hill or under a large expanse of trees to minimize lightning hazards. Beware of the way the land lies, it may mean the difference between a comfortable stay and a miserable night; if there's rain it may flood through your tent. This one's a dandy to remember, Roll the edges of your groundcloth UP and UNDER the floor of your tent unless you want the slightest drizzle to soak you and yours. This applies to ANY tent-camping scenario, but is especially noteworthy in a remote area when backpacking due to the higher risk of hypothermia (yes, deaths by hypothermia happen in the summertime too). Bring extra propane (for car-camping), or white-gas/butane (for backpacking). It's a pain in the arse to have to make a five or ten-mile trip outside of the camping area to be able to find a place that stocks propane canisters or tanks. Besides, that isn't what camping is about, it's more about being able to go to the woods and stay there without needing to go back to civilization for a few days. Ditto for the camp store. Unless you really need something, it's best to just stay away from such places (if you're in a public campground). It just detracts from the whole sylvan experience. Bring extra batteries. Nothing's worse than having to complete some task in the dark with no type of illumination other than a lighter because you forgot to change the batteries in your headlamp/lantern/flashlight before you left home. If you're backpacking, you won't really need it so much (since, in my experience at least, you'll be too tired to want to stay up at night anyway), but if you're car-camping, it's likely that you'll have some extra energy and will want to read or work on something after dark. If you're car camping, lock your food (and garbage) up in the car trunk at night to keep the critters out of it. It's pretty annoying to wake up to find an empty garbage bag hanging on a tree and the garbage all over the ground, or a previously-unfinished block of cheese or box of crackers from last night's cracker barrel nibbled on or scattered all over the picnic table. When you're backpacking, this is mandatory. Although you won't have your car in close enough proximity to your campsite to put your food there, you must keep all smellables (such as soap, deodorant, toothpaste, food, Gatorade mix, candy bars,--even stickers and duct tape on your water bottle or any clothing that's been doused in Kool-Aid) out of reach of your feral neighbors. And don't count on the local problem bear not bothering you. If you have a Snickers bar in your pack, he could and will. The tent is no place for edibles/smellables, even in the daytime. Animals can smell food on fabric for weeks after you've taken the smellables out of the tent. To solve this dilemma, simply take a heavyweight nylon sack and hoist it over a 12-foot or higher tree branch, securing the free end of the rope/cord by wrapping it around another tree. The mice may chew holes in the bag and take your crackers and granola, but it will be a passable bear deterrent in a pinch. Some state and national parks require backpackers to store food and smellables in a "bear-proof container" (usually made of strong but lightweight, cylindrical-shaped plastic), especially in areas above treeline. Do whatever you have to keep the critters out of the vittles. It'll save you a trip to the nearest town (or a hungry belly). Bring PLENTY of water to start with, and bring it in containers that you can fill at a "primitive" water source (such as collapsible water jugs and a large water cooler). And don't forget to hydrate before each trip! For two or three days before, you should be drinking eight 8-oz. glasses of water per day, or two Nalgene bottles (about two quarts) in order to prepare yourself for the hot summer weather (or cold winter dryness). This is important for any outing but especially for backpacking trips. Periodically update your first-aid supplies. This may sound unnecessary, redundant or silly, but medical supplies become outdated, go missing (blame it on the wood-elves), and just plain wear out. For instance, all sorts of pre-packed bandages, when folded and carried in a pack/bag for long periods of time, become unsterile due to their paper wrappers crinkling and tearing, letting in all sorts of dirt, filth and germs. Don't let this happen to your first-aid gear, it can mean the difference between life and death (and I'm not being melodramatic). And after you've updated your medical kit, you have to remember to BRING it along, or it won't do you any good! Put it into your gear closet (mentioned in the first tip). Camping tips I've learned from years of camping in a tent at the race track! One reason that my family bought a mini-van, was to haul our camping gear. Unfortunately, that also means sometimes wet and muddy gear. Going on a camping Holiday? Great! But don't forget to bring a light-weight blue foam ground mattress to place under you when you sleep, and also a plastic sheet to place over your tent. I am planning a road trip out in the desert with a group that will include men and women. There is very little tree or shrub cover and the trip will be several days long with very little "civilization" for many hours at a time. 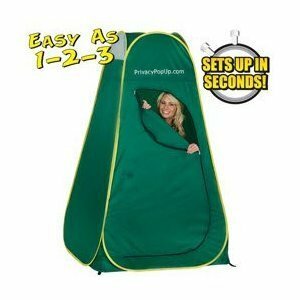 I am trying to figure out how to construct or where to find a portable pop-up curtain/shield so that all members of the group can stop for the inevitable potty breaks and still have a little privacy in these open spaces. It needs to be compact/lightweight, portable, and freestanding. I need ideas. Thanks in advance. Try a portable shower enclosure made from a $ store plastic shower curtain and a hula hoop. Very portable and inexpensive. If everyone pitches in just 10.00 you can get one of these. for just 49.95. If you have time, you can probably find them at the local dept. stores, too. You'll need 5 - 10 foot, 1/2 pvc pipes, (just a few dollars at the big box hardware stores and 6 - 1/2 tees. Make 2 rings (hula hoop style) of 1/2 inch PVC cut in 5 foot lengths connect together with 3 - 1/2 tees. It will give you a ring size of almost 5 feet in diameter. Now connect the 2 rings utilizing the remaining connection of each tee with 3 more 5 foot pipes. You'll end up with a cylindrical shape frame. The just attach 2 or 3 shower curtains to the top ring and you'll have a free standing portable room for privacy. You will be left with one 5 foot section of pvc pipe as a spare if needed. Walmart sells a variety of portable pop-up shelters to fit any budget.